We’ve all come to love the feline species and with all the stories that are associated with them, the tortoiseshell cats have the luck to be connected with the sun, the moon, and good fortune. Their markings set them above the rest, the multitude of colors seems to be an enticement to people to know the secrets of the torties. There’s a lot of interesting topics about tortoiseshell cats so let’s see how they came about in our lives. If you’re doing your research for a new pet, you might want to consider the facts before deciding. The tortoiseshell cat, or the tortie moniker came from its similarity to the markings of the tortoiseshell, a material that is derived from the shells of bigger tortoises or turtles. You’d see streaks of black, red, and orange that look as if they were painted above one another. Tortie cats are just one of the many animals that exhibit this distinctive marking. This can also be seen in some breeds of guinea pigs and some species of butterflies. There are several feline breeds known to exhibit the tortoiseshell pattern but tortoiseshell cats are not included as a separate breed. The Persians, American Shorthairs, British Shorthairs, and Japanese Bobtails are only a few that have the tortoiseshell patterns. Both the Torbies and Torties refer to markings, but the difference is in the pattern. Torbies would show a tabby pattern on their fur and we all know how Torties came about. Aside from the Torbies, there are also a few more types of patterns that resemble those distinct markings. So what’s in a Tortie? What Torties would have is a general sense of red and black patterns. Reds are often a combination of orange, yellow or cream while the blacks may comprise of chocolate, gray, or blue. Tricolors” is the term used to call cats that have the whites intermixed with 2 other colors. In the UK, tortoiseshell-and-white comes to mind while the Calico cat is best known in America. It is interesting enough to note that all these types mimic the colors of sunrise. If tortoiseshell is to cats, brindle is to dogs. The distinctive palette is not just restricted to the feline world. For dogs, the coloring is called “brindle”. The attitude will be different from each other, but there may be chances of similarities. Most of the Tortie cats that were born on this earth are female which is due to a quirky anomaly in their genetics. There were also studies that the color of the cat would also tell their owners if their baby Torties are females or males. There are male Torties in this world but are very rare. This is again due to the genetics of the tortoiseshell cats that may also be attributed to the color that they have on their markings. In 2017, “Burrito“, a male Tortie cat was born. There was a huge clamoring to adopt him as he was a male tortoiseshell cat. Talk about an aptly-named feline as the Burrito itself where the name of the cat was based on, is similar to the tortoiseshell colors. Studies show that most tortoiseshell male cats are sterile but there is a small chance that some male cats can sire children. If you’re lucky to get a male Tortie cat, it’s known to be more docile than its female counterpart. Along with bringing good luck to their owners, the Tortie cat is believed to bring in money which is why it’s called “money cats” in the US. If you’re thinking to put up a business, it doesn’t hurt to get one. There was a story about the sun possessing a black cat so it can walk on land, thanks to an eclipse. But because the moon didn’t cover the sun for so long, the sun left streaks on the black cat when it returned to the sky. It was said that that black cat was the first tortoiseshell cat. There have been studies, although inconclusive, that due to the aggressive tendencies or better yet, hardheadedness of the Tortie cats that “tortitude” came about. Even though Tortie cats are not a breed, they tend have a personality that is oftentimes seen in tortoiseshell cats in general. They’re very hard-headed and tend to be more domineering than others, although this is not similar to what happens with dogs. 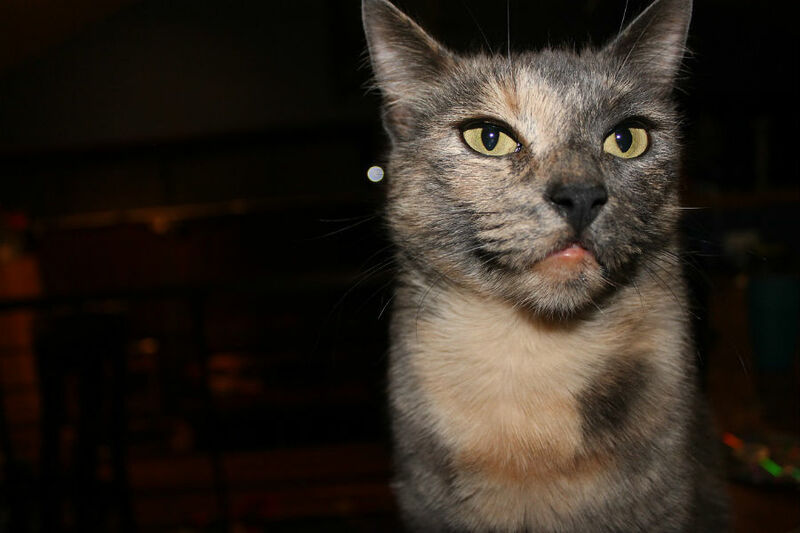 There have been studies that the Tortie cats’ attitude may be connected to the color of their markings, but don’t factor this in when you’re choosing a pet. Torties make a perfect run buddy because of their feistiness and temperament. So if you’re always on the go, getting a tortoiseshell cat is a good choice. Tortie cats are the feistiest of the bunch but it doesn’t have to be a factor when you’re looking to get a pet or adopt one. They can be the most loyal, although they’d need you to view the world from their perspective. They’ll love you if you’re patient enough to wait. Torties are also known to be very territorial. 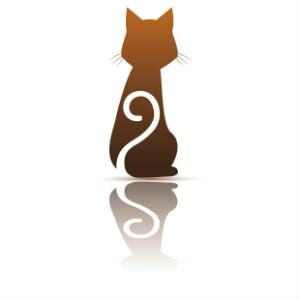 So you should be prepared if you decide to get another pet after getting a Tortoiseshell cat. Along with its unique personality, the tortoiseshell cat is also known to be one of the most talkative. So if you hear it meowing incessantly, check if it needs anything, like your attention. You might find a lot more interesting topics about Torties than the ones stated here. But the fact remains, the Tortoiseshell cats are one of the most endearing of them all.